Winners of 2014 Christmas Hamper Giveaway! Helsinki is well known for it’s festive flair during the holiday season. 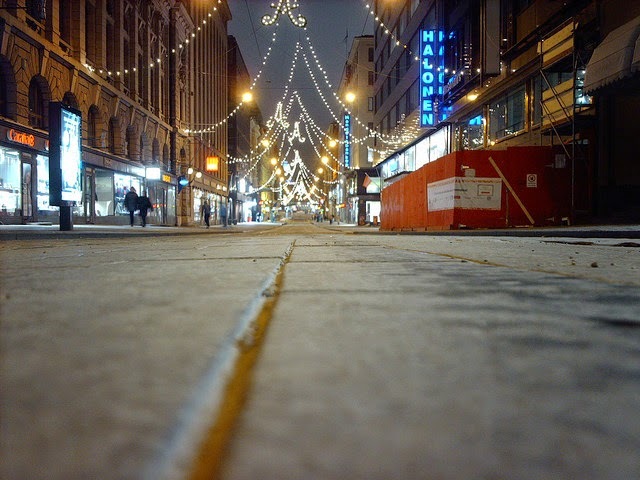 Not only are you almost guaranteed to experience a white Christmas in this city, but it’s also home to Aleksanterinkatu (the official Christmas street) and the St. Thomas Christmas Market. We just can’t let go of the holiday season quite yet! Aleksanterinkatu, or Alexander Street, is renowned for it’s brilliant display of festive lighting and competitive window display decorating. This beautiful lighting tradition began in 1949 by the shopkeepers of the street that wished to bring light and hope to the residents of Helsinki. This past November Aleksanterinkau celebrated its 66th annual lighting, which is now commonly viewed as the opening of the Christmas season. The official lighting ceremony (attended by none other than Father Christmas!) is followed by the annual Christmas Parade down the street and into the city center. 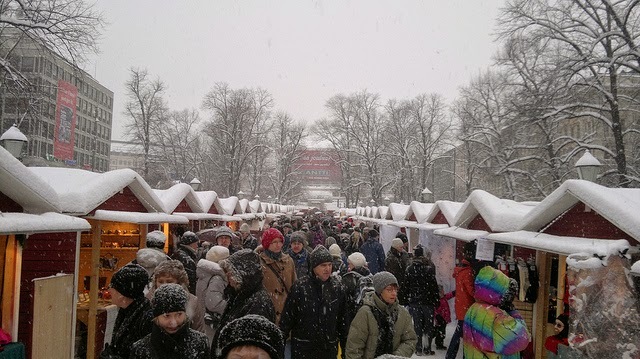 How could we speak of the Christmas season in Helsinki without mentioning the St. Thomas Christmas Market? We can’t. 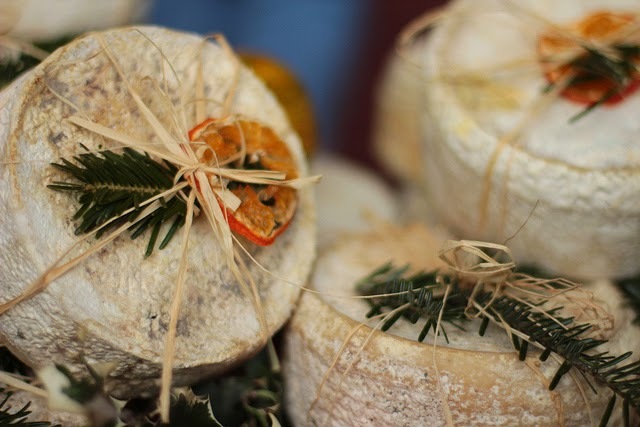 This market is practically synonymous with all things festive and Finnish! Every year this market opens up in the Senate Square, in the heart of Helsinki. Open every day in December during the days leading up to Christmas, this market becomes home to more than 120 stalls. 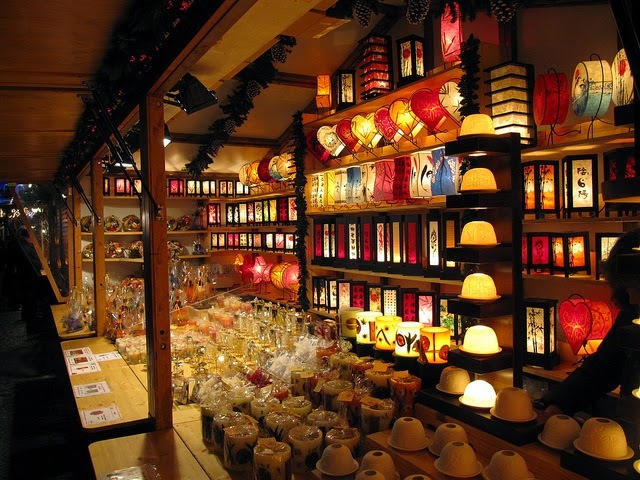 Vendors will carry everything from handmade crafts, to traditional Finnish food and drinks, and of course you will also be able to find a fabulous selection of Christmas decorations. Handmade trinkets, beautiful lights and the possibility of fluffy snowflakes? This sounds like a pretty perfect Christmas to me! 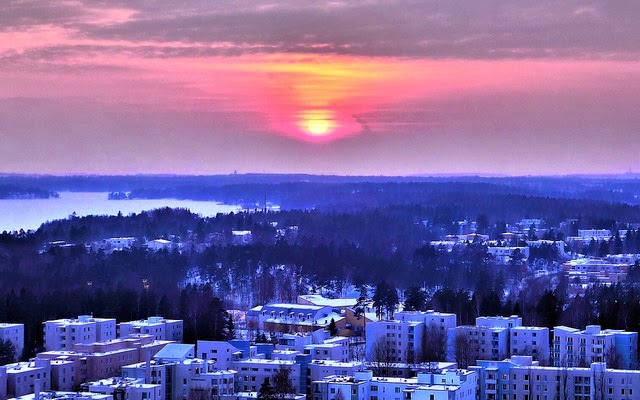 Have you ever spent part (or all) of the holiday season in Helsinki? If so, tell us what your favourite part was...we’d love to hear about it in the comments below! Perhaps our favourite part of Christmas is the food... In keeping with the theme of our country of the month, we’ve decided to shine the spotlight on a few traditional Finnish dishes that are particularly popular during the holiday season. Joulupöytä refers to the traditional assortment of foods served at a Finnish Christmas dinner. 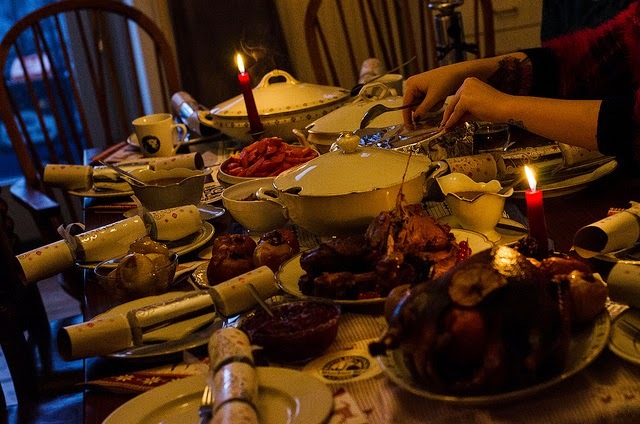 It’s also interesting to note that in Finland, Christmas dinner is served on Christmas Eve (instead of Christmas Day). Of course, this makes perfect sense since Father Christmas visits the children of Finland a little later that evening! Enjoyed in both alcoholic and non-alcoholic forms, glögi (or mulled wine) is an absolute mainstay during Finnish Christmas festivities. Spiced with cinnamon, cloves, cardamom and orange peel (among other ingredients), this drink is sure to warm you up on even the coldest of days. Click here for Kitchen Parade's complete recipe. Click here for Pure Vege’s complete recipe. This is common as both a side at dinner, or sometimes even as breakfast. While rice pudding is a popular Christmas dish in many Scandinavian and Nordic countries, the Finns have their own take on this favourite. A widespread Finnish tradition actually involves hiding a whole almond in the pudding – the person who eats the almond will have good luck during the following year! Click here for Scandi Foodie’s complete recipe. 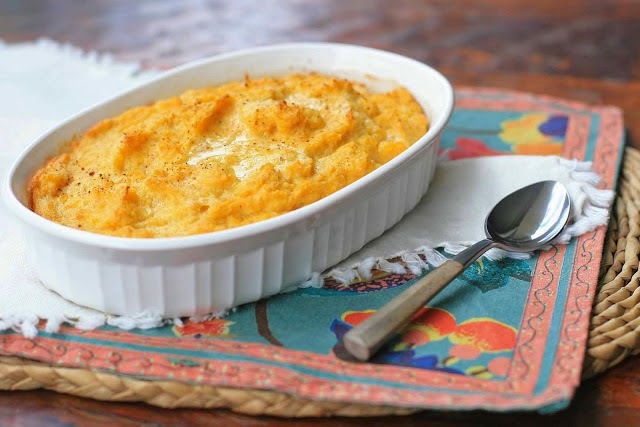 Simple but oh-so-delicious, this casserole will always have a place at a Finnish Christmas feast. Root vegetables really do make some scrumptious sides! 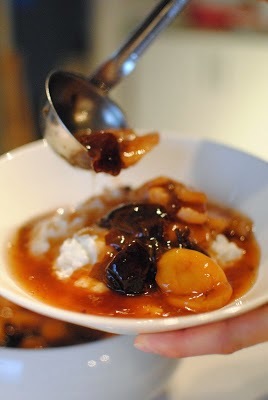 Click here for Girl Cooks World’s complete recipe. Last but not least, a Finnish Christmas dinner wouldn’t be complete without an oven-baked ham. Finns usually enjoy this dish served with mustard or bread...and all of the other dishes that we’ve already mentioned above! Click here for girlichef’s complete recipe. Looks good enough to eat, doesn’t it? Less than a week to go ‘til Christmas! But don’t worry...there’s still a little time to squeeze in some last minute holiday shopping. 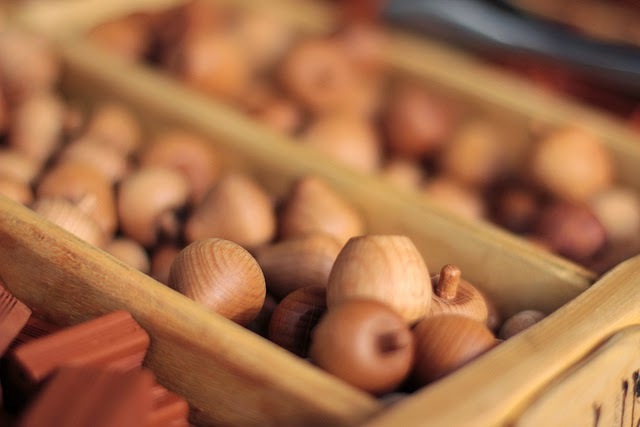 Are you planning on visiting any craft markets this weekend? Let us know in the comments below so we can add them to our list. 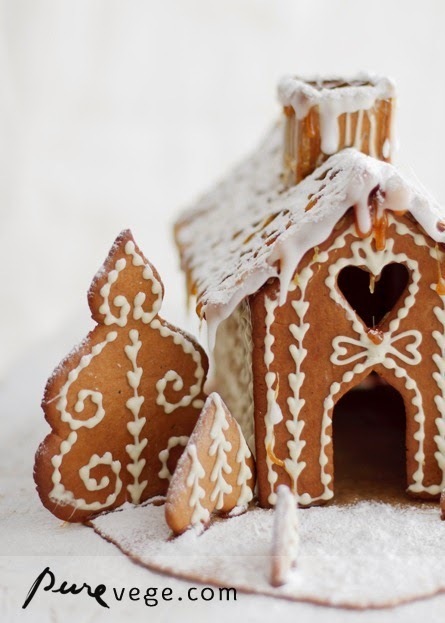 As Christmas draws closer we can’t help but think about all the different ways to make our own festive goodies and decorations...it’s just too much fun! 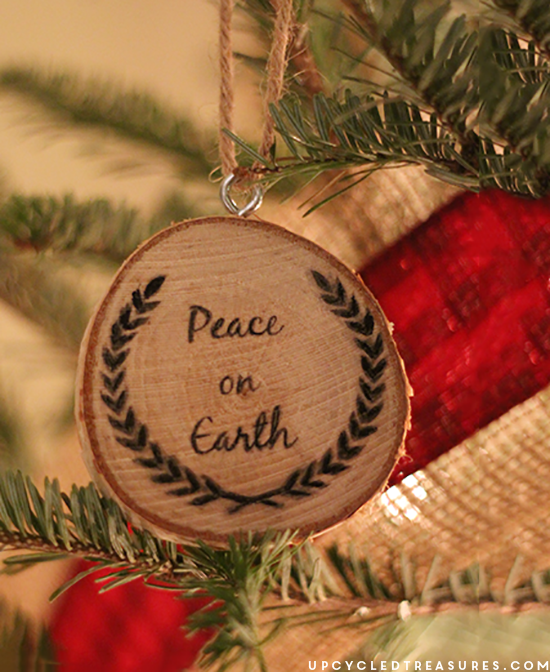 We stumbled upon these ornaments earlier this week and simply had to share them with you. 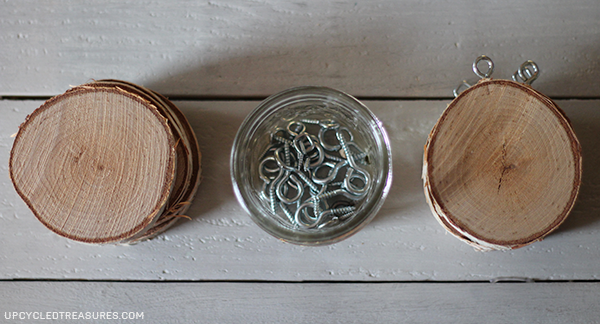 Upcycled Treasures made these little treats with sliced birch logs, eyehooks, twine and some creativity. 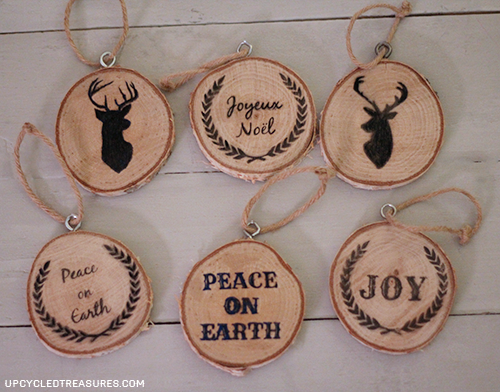 Bonus: Upcycled Treasures has even provided her readers with some templates for images to transfer onto the ornaments. Click here for the full tutorial.